7Nutrition Natural Whey Isolate is a response to the needs of the most demanding athletes and people who care about the best form. It is natural, without any fillers. Made by microfiltration technology. 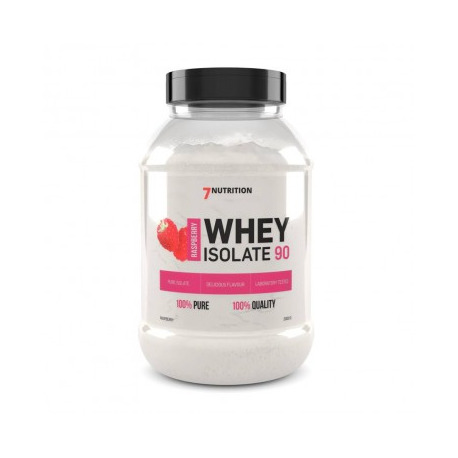 This unique technology leads to maximum concentration of whey protein without its denaturation. How to prepare: one portion;a (30 g - 2 scoops powder) dissolved in 100-200 ml of water. Consume immediately after preparation. Recommended use: Workout day: 1-3 portion daily (morning after waking up, after workout and at bedtime). Non-workout days: 1-3 portions. Do not use if you are allergic to any of product compounds.